Life is a collection of changes. So don't avoid changes. Take every change as a challenge. 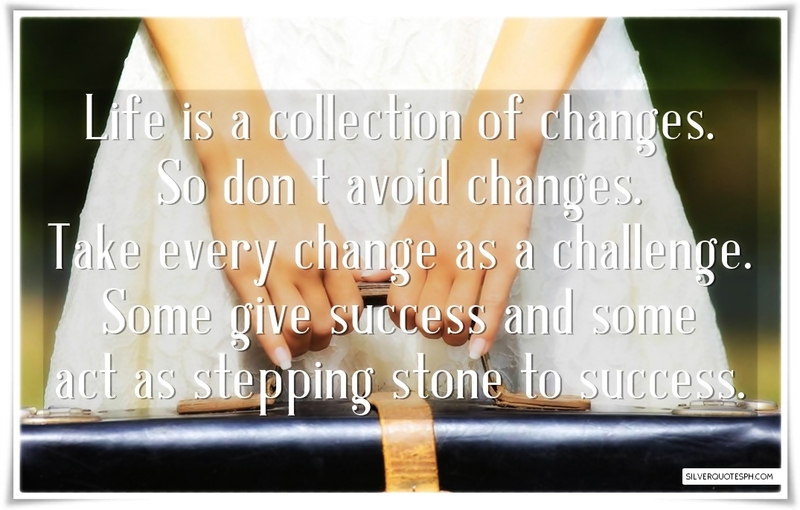 Some give success and some act as stepping stone to success.